The M4V file format is a presented by Apple and it is derived from the MP4 format but there is some difference. The M4A file format files are DRM protected and used to store the movies, videos, and TV shows in the iTunes store whereas MP4 format is very common format used on mostly all devices. This file format is very common among mostly all types of devices users and mostly all types of devices can play MP4 files using a video player. In this tutorial we will share the info about how to convert M4V to MP4 with a M4V to MP4 converter. KeepVid Online Video Converter can help you to convert M4V to MP4 format and you can also use it as M4V to WMV converter as well. It is very easy to use so you simple have to upload the file from your system and then choose the output format finally click the “Convert Now” button. This converter will provide you download link for the converted file. Just by using this way you can convert your files to nearly 60 format for free of cost without any registration on the website. If you are not sure about the compatible format of your device then you can also choose the output format from the list of devices. If you also want to convert MP4 to M4V files, you can get take advantage of KeepVid video converter solutions as well. KeepVid will enable you to get the work done easily in simple steps. With the KeepVid Video Converter you can quickly convert the videos from M4V format to MP4, AVI, WMV, MOV, MP3, VOB or any other format in the fastest speed. Even you can also convert the online files directly by downloading from the internet because it supports video downloading from online sites such as YouTube, dailymotion or many more. This is simply converter software with many powerful advanced features.  Convert the videos to more than 1,000 video and audio formats. Edit videos with trimming, cropping and more other features. 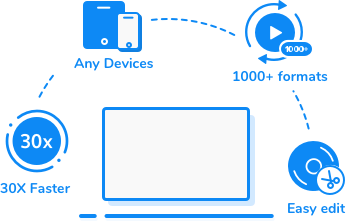 Convert videos with 30X faster converting speed than any other converter. Step 1 – Start KeepVid Video Converter and add the M4V file from your computer. 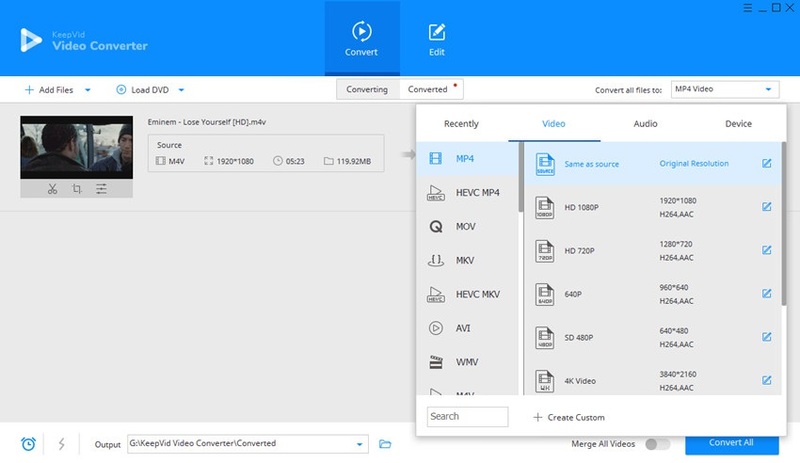 Step 3 – Click Convert button to start converting M4V to MP4 video files. Download and install KeepVid Video Converter on your system. After the installation, click the Add Files button to add the video into the program window, or you can drag and drop the file into the program window directly. At the top right side looks at “Convert All Files To” and the press upside-down icon next to it. Now select MP4 in the drop-down menu as the output format. Now simply click to the “Convert All” button at the lower right side to start converting M4V to MP4. MP4 is a high quality video container formats used to play videos and audios both. This format is also used by the online video hosting sites to play the online videos. You can easily play these format videos on mostly all devices such as Android, iOS, windows, Mac etc. MP4 format can contains the video, audio and subtitles in a single file with high quality output that’s why this format is widely used on the all devices.